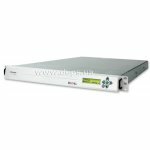 Arcotel ENC-S2xx MPEG-2 SD Encoder series is designed for compression of the real-time video and audio with MPEG-2 codec and transmission of the output signal through both DVB-ASI and GbE TS over IP outputs. Highly productive transcoders built on the basis of Noisypeak Uniform Encoding Engine v2. 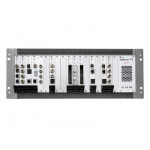 It is represented by three different configurations of different performance from a portable transcoder to an operator-level platform. 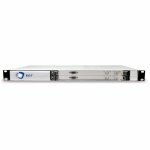 As the flagship of PBI’s encoder series, DCH-5000EC/-5100EC series provide users a high-level operation experience to meet the requirement from the Digital broadcasting market that is transferring from MPEG-2 SD to H.264 HD. 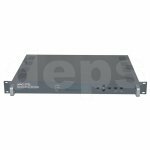 Integrated with the TSoIP board, the DCH-5000EC/-5100EC accept TS over IP or ASI input for transcoding, or alternatively accept HD-SDI (audio embedded), HDMI or YPbPr input for encoding, the final output is available in IP or ASI format. By installing an optional extent board, easily upgrade to support two pairs of stereo audio encoding (for DCH-5100EC). The Dolby Digital Audio and AAC audio is looped through and time stamping is automatically implemented to ensure the AV sync at the output side. 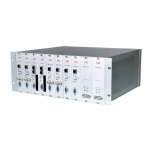 With an internal re-multiplexer which accepts the SPTS generated by itself and an external DVB-ASI TS as inputs makes DCH-5000EC/-5100EC very flexible and could be adopted by many applications with its high performance and picture quality. Multichannel encoder Envivio 4Caster C42 is designed to encode the MPEG-2 TS streams (received at IP-input) to different output formats, thus enabling the efficient delivery of content to receiving equipment of different types: PC, IPTV set-top boxes, and mobile devices. In addition, the encoder can be equipped with one analog input module – to encode the channels from the air or other analog sources. 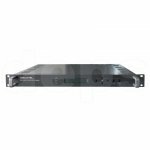 Barracuda delivers high performance H.264 encoding in a uniquely compact form factor. For standard definition encoding needs, the Barracuda adheres to Haivision’s “Encode Once” design, offering the ability to deliver multiple streams at different resolutions and bitrates to multiple destinations. 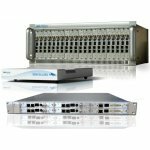 Supporting a wide variety of IP streaming standards, the Barracuda is an ideal contribution tool for almost any application. 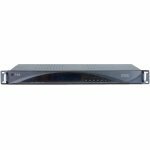 The Barracuda also supports both forward error correction (FEC) and encryption, making it a perfect fit within Haivision’s Furnace end-to-end H.264 IP video solution. Haivision’s Furnace system is an end-to-end IP video system that provides network resiliency through forward error correction and absolutely secure video distribution to the ”zero footprint” InStream player and the Stingray set-top box through the support of AES encryption. The Barracuda supports these critical standards so that companies can be confident that the video is 100% secure - from the point of encoding all the way to the viewers. The Barracuda provides end-to-end confidence that only those who are allowed to view specific content can access that content, and that they cannot record or copy that content directly. The Barracuda is based on the highly efficient H.264 compression standard, saving over 50% of the bandwidth and disk space required by MPEG-2 IP video deployments. 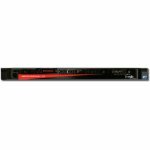 The Barracuda accepts Composite, S-Video, and Serial Digital Interface (SDI) standard definition inputs. It also supports both balanced and unbalanced stereo audio as well as digital audio embedded within the SDI signal. The Envivio® 4Caster™ C4 Gen III is the superior encoding/transcoding solution for producing live Broadcast, IPTV, OTT and Mobile TV video services from a single platform, eliminating the need for separate headends. Envivio solutions deliver unmatched performance and quality. Ingesting and processing video once apply the same compression excellence applied for every screen on any network. From bandwidth-limited mobile delivery to full 1080p HD over high-speed networks, for traditional TVs or revolutionary hand-held mobile devices, to viewers at home or on the move, the 4Caster C4 enables you to deliver impressive images to the widest array of screens in the industry. The result of years of innovation and hands-on development experience, the 4Caster C4 delivers high-quality services to tens of millions of subscribers worldwide. It meets today’s goals while providing the flexibility to address future opportunities and make the most of your investment. RGB's TransAct product family offers video service providers a flexible solution for the high-quality transcoding and delivery of video to a myriad of devices. 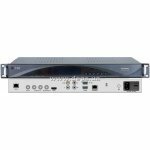 As the flagship of PBI’s encoder series, DCH-4000EC series provide users a high-level operation experience to meet the requirement from the Digital broadcasting market that is transferring from MPEG-2 SD to H.264 HD. Integrated with the TSoIP board, the DCH-4000 accept TS over IP or ASI input for transcoding, or alternatively accept HD-SDI (audio embedded), HDMI or YPbPr input for encoding, the final output is available in IP or ASI format. By installing an optional extent board, easily upgrade to support two pairs of stereo audio encoding. The Dolby Digital Audio and AAC audio is looped through and time stamping is automatically implemented to ensure the AV sync at the output side. 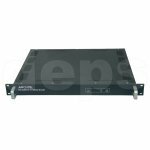 With an internal re-multiplexer which accepts the SPTS generated by itself and an external DVB-ASI TS as inputs makes DCH-4000EC very flexible and could be adopted by many applications with its high performance and picture quality. 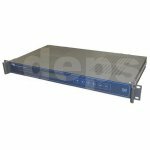 Single-channel professional MPEG-2 real-time encoder DCH-3000EC-40 PBI with IP output and integrated multiplexer which generates MPEG transport stream via ASI and has an external DVB-ASI input. Devices designed to encode the MPEG-2 TS streams (received at IP-input) to different output formats, which enables the efficient delivery of content to receiving equipment of various types.